Serve your freshly baked thin crust pizzas with style in these restaurant quality coupe style pizza trays from New Star Foodservice. 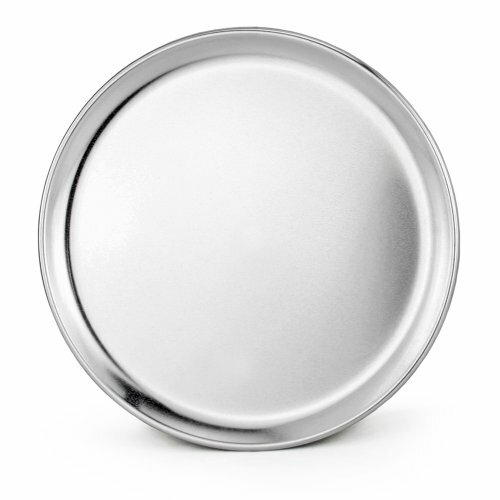 These durable aluminum trays were made for you to take your pizza baking and serving skills right to the edge. Available in multiple sizes and selling units. Check out more pizza trays, screens, and other New Star pizza products sold on Amazon. Commercial restaurant quality aluminum designed for multiple uses Closed bead design offers more structural stability and cleans up safely and easily Small rim allows more room on tray for the pizza Smooth finish and a concave shape are great for any pizza display! Available in 8", 10", 12", 14", 16", and 20"